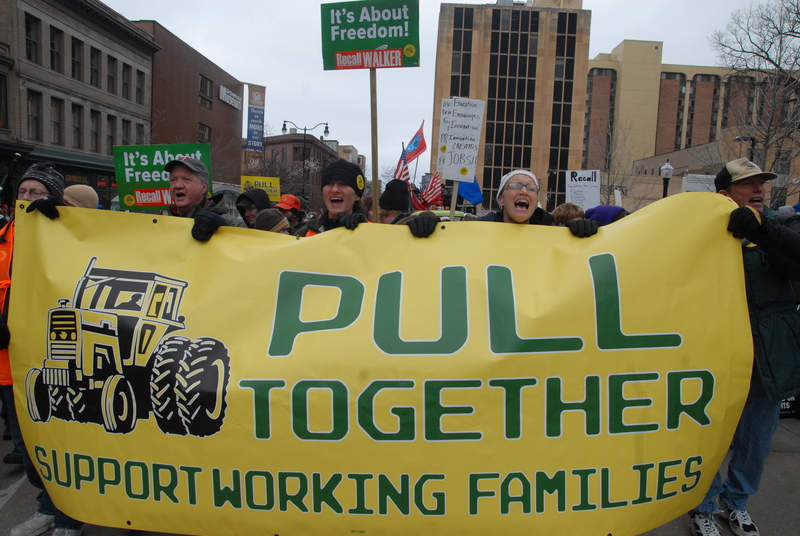 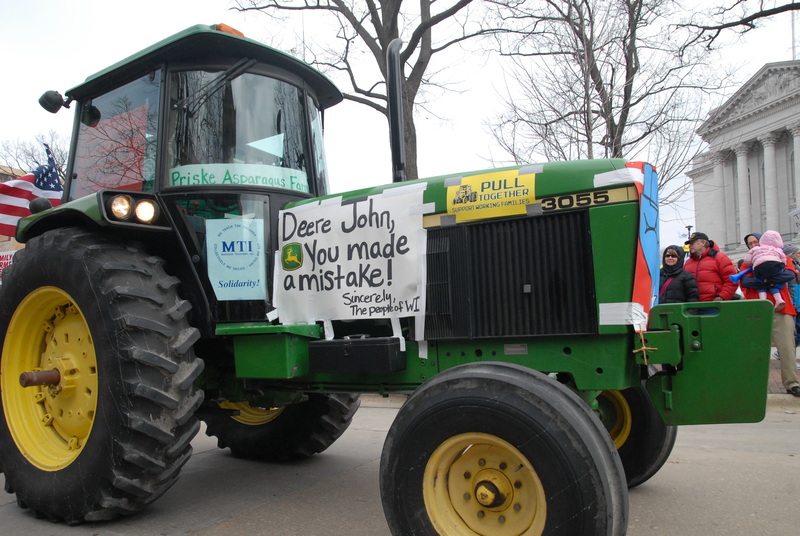 Wisconsin farmers and other supporters of working families drove tractors and pulled wagons and floats in a tractorcade parade—PULL TOGETHER, SUPPORT WORKING FAMILIES– held prior to a huge rally for workers at the Capitol in Madison last Saturday. 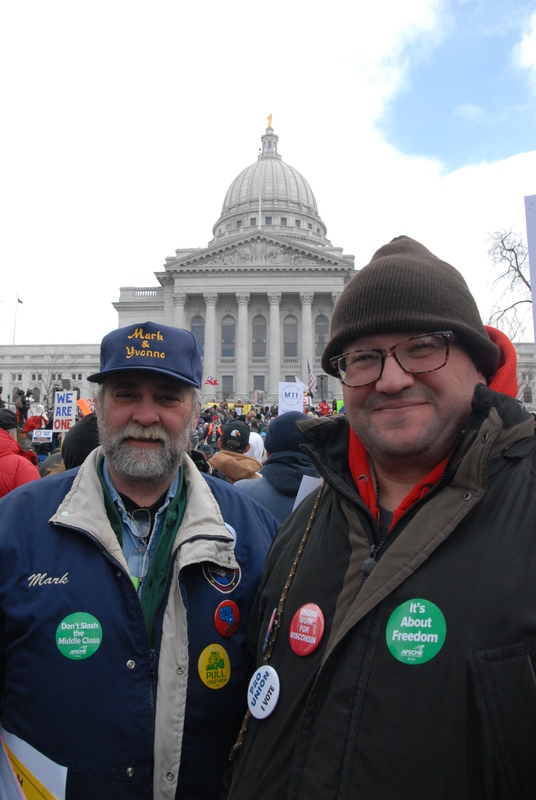 Local media estimated that 100,000 to 150,000 working people and supporters attended the parade and rally. 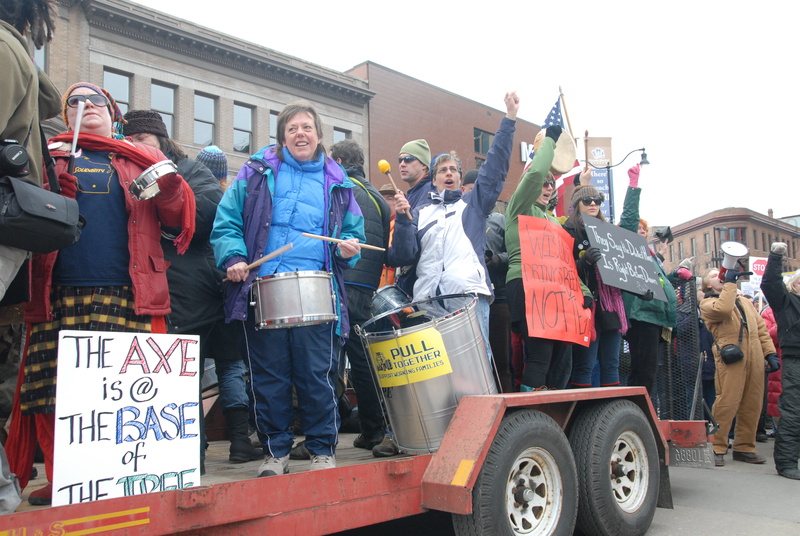 People poured in for the PULL TOGETHER PARADE as it circled the perimeter of Capitol Square in Madison. 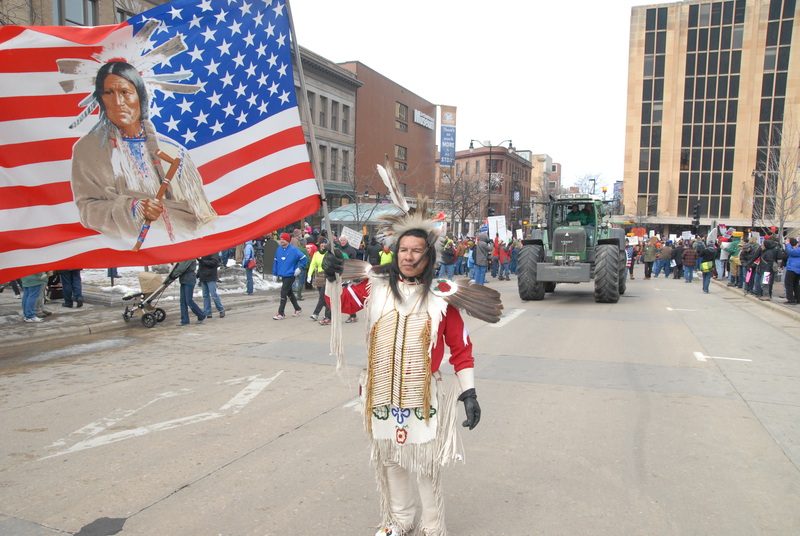 As the parade progressed, people kept pouring into the Capitol area and joining the parade so that it was soon hard to tell the paraders from the parade-goers. 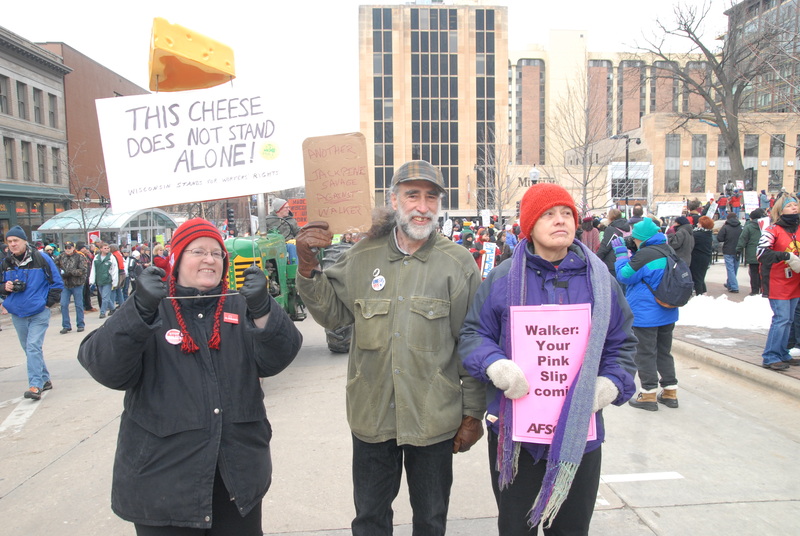 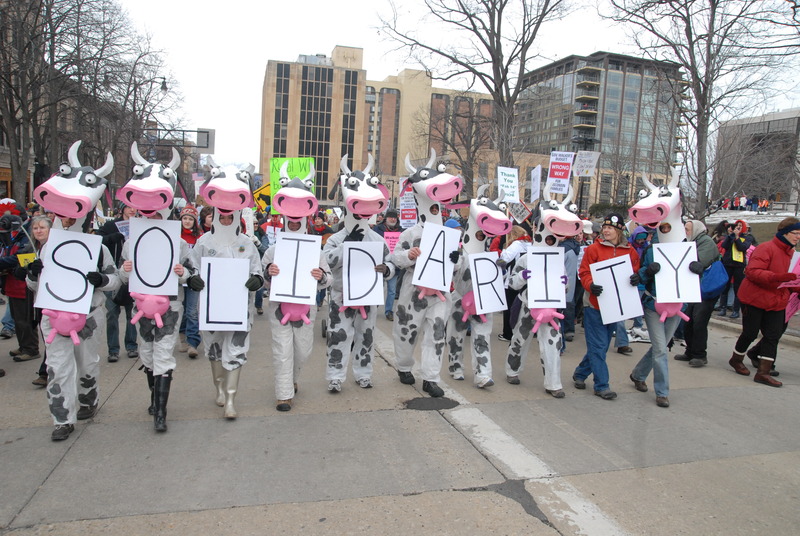 Two things were for certain at this Madison Mardis Gras for working middle class Americans–everybody was in unity and solidarity, and nobody believed that any good would every come from the blatant anti-worker policies of Wisconsin Republicans as they continue to abuse their power. 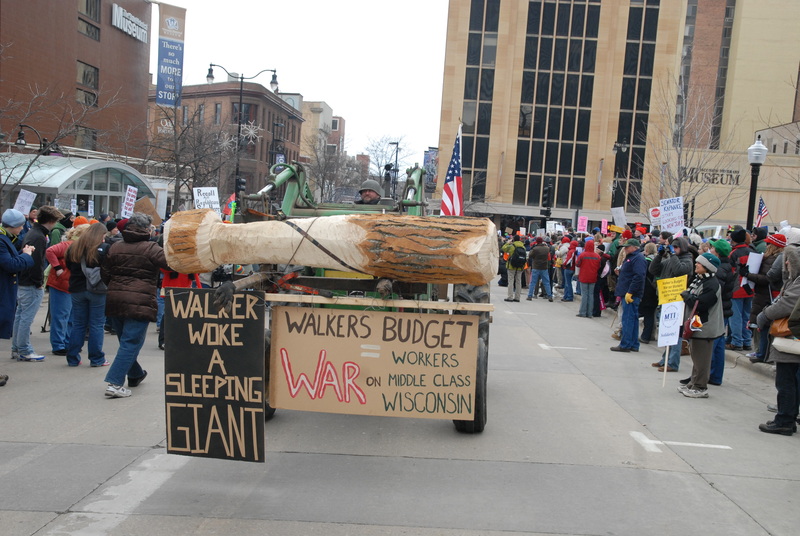 Thousands carried signs and banners illustrating their extreme dislike of Republican Governor Walker, the Republican Wisconsin State Senate and the Republican Wisconsin State House of Representatives as well as the billionaire Koch Brothers and other billionaires who pull the puppet strings that make the Republican executive and legislative branches of Wisconsin government dance. 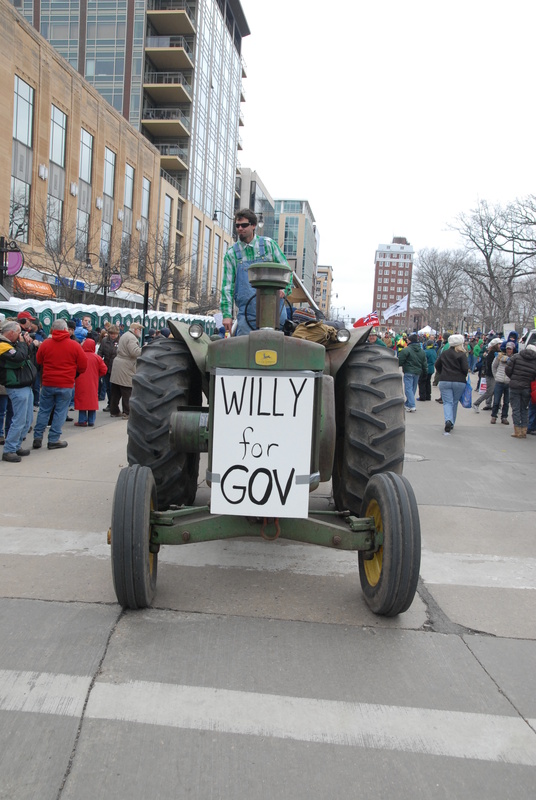 Recall Republicans and Recall Walker were the action phrases of the day and it is the recalling of Republicans that will chart the course of Wisconsin’s political future.